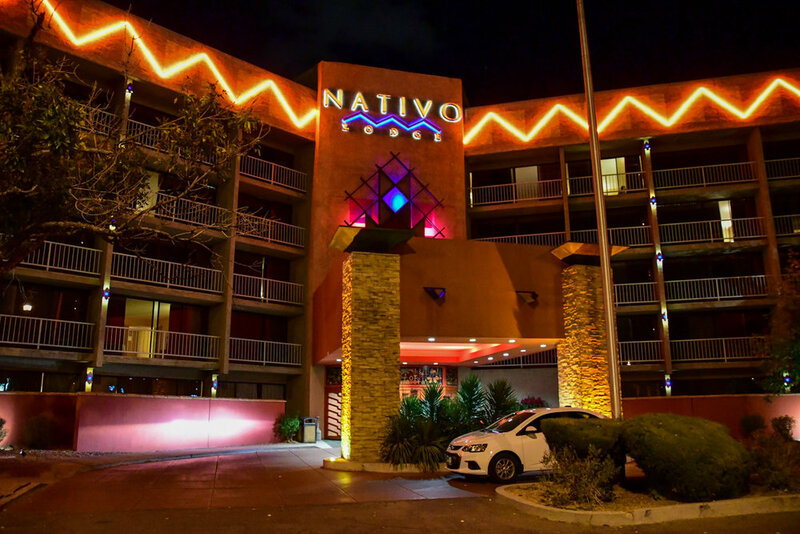 We stayed at the Nativo Lodge just minutes away from Balloon Fiesta Park, in anticipation of our very early start in the morning. 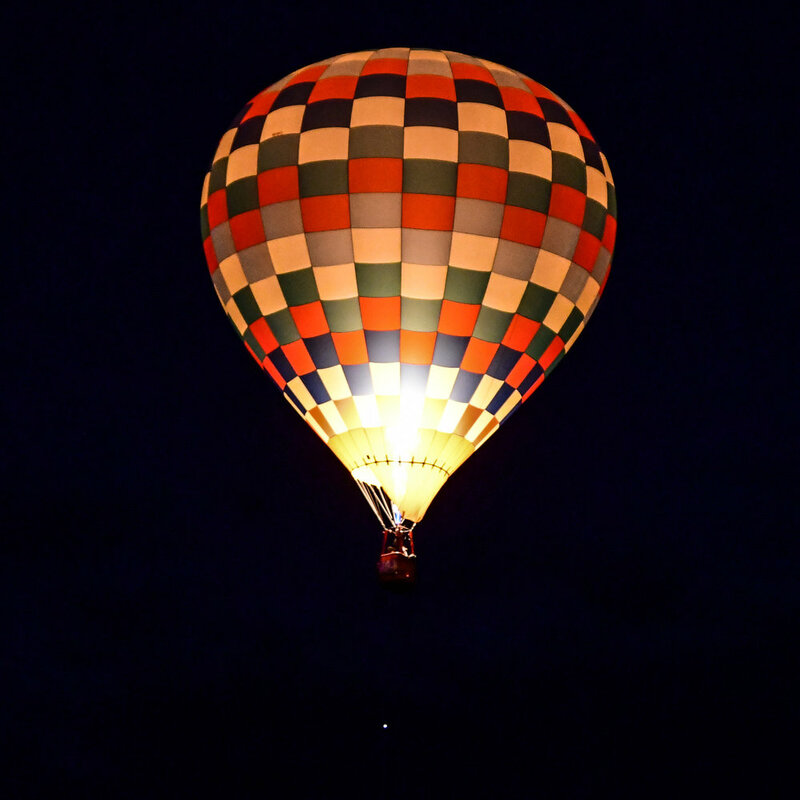 The Dawn Patrol began at Balloon Fiesta in 1978, when two California balloonists developed position lighting systems that allowed them to fly at night. Dawn Patrol pilots take off in the dark and fly until it is light enough to see landing sites. 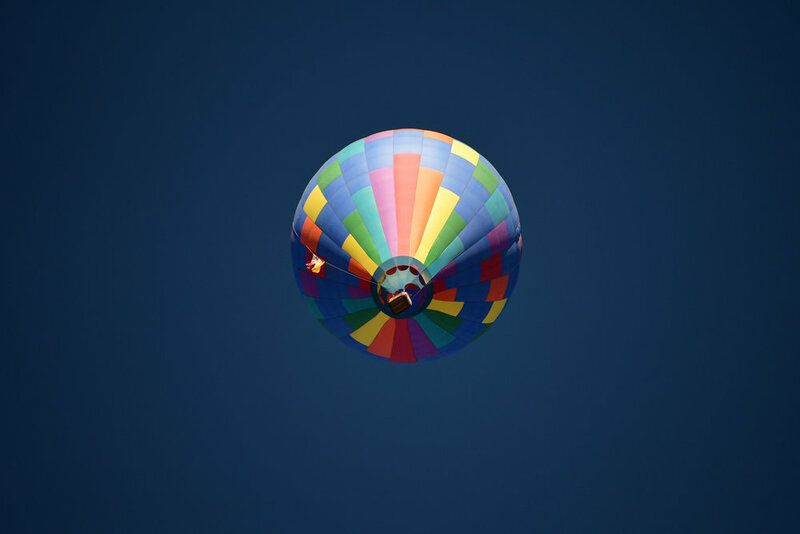 Fellow balloonists appreciate the Dawn Patrol because they can watch the balloons and get an early idea of wind speeds and directions at different altitudes. 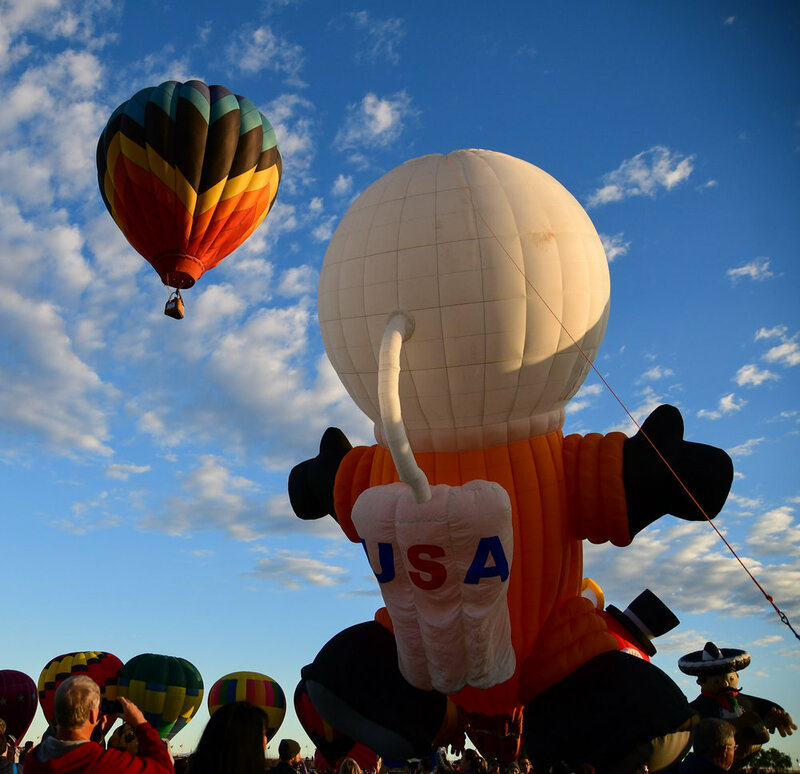 On mass ascension days, about a dozen Dawn Patrol balloons perform the Dawn Patrol Show, a choreographed inflation and launch set to music that has been part of the Balloon Fiesta since 1996. Dawn Patrol inflations begin, weather permitting, at about 5:45 AM, with launch around 6:00 AM. The Mass Ascension, a launch of all the participating balloons, has been a feature of Balloon Fiesta since its earliest days and is the most spectacular display of sound and color in all of aviation. 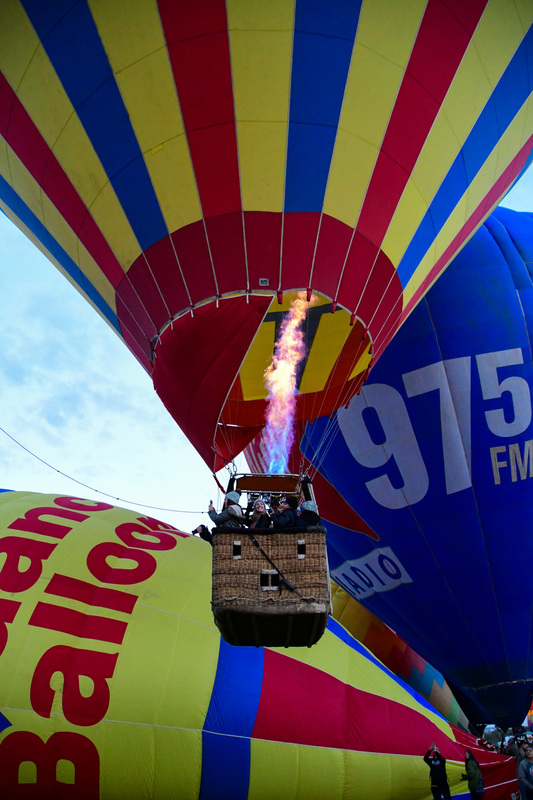 During mass ascensions, balloons launch in two waves. 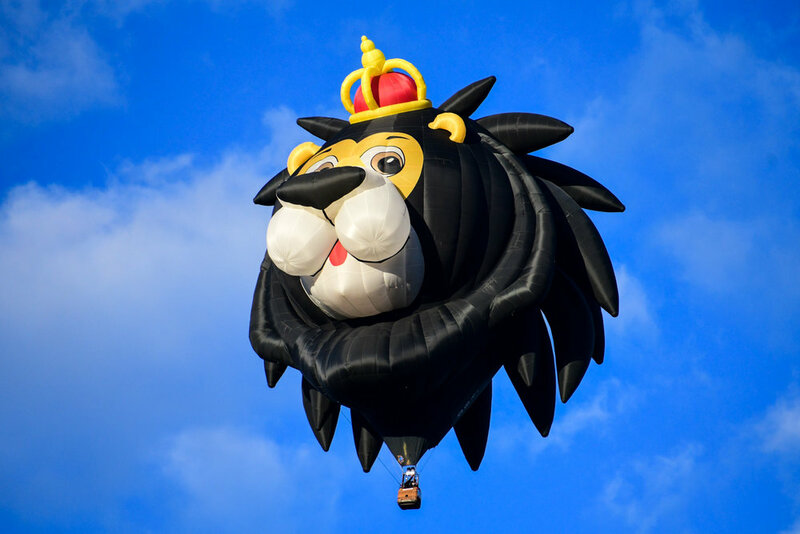 Launch directors, also known as zebras because of their black-and-white-striped outfits, serve as traffic cops, coordinating the launch so balloons leave the field in a safe and coordinated manner. The Special Shape Rodeo, "Glodeo", the special mass ascensions especially showcase the incredible craftsmanship, creativity, and artistry that makes monsters, critters, and just about anything else you can imagine take flight. 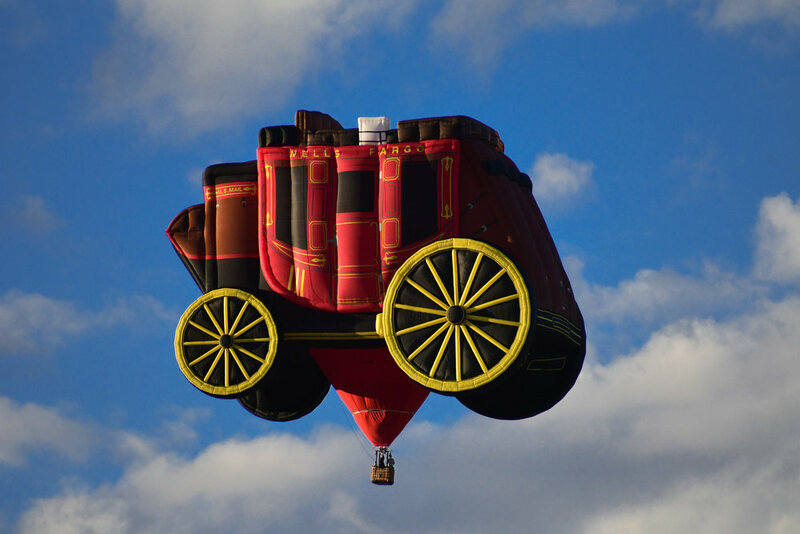 For more fun information, visit Hot Air Balloon Facts.